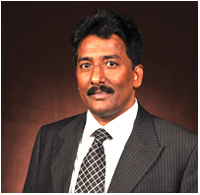 Radhakrishna Pillai is the Chief Information Officer of SRL since January 19, 1998. He is responsible for all strategic decisions pertaining to IT interventions aimed at process improvements in the Company. Mr. Radhakrishna Pillai has acquired over 20 years of technical and managerial experience solving business problems with information system technology solutions by process improvements and innovations. Mr. Pillai has been recognized and felicitated in various national and international forums for IT professionals. A key thought leader in the CIO fraternity for enterprise technology and also key member in the governing body of CIO KLUB, India. He was also recognized in CIO powerlist by ‘CIO Decision’ in the year 2008. Mr. Radhakrishna Pillai is a Graduate in Statistics from Kerala University with Diploma in computer science, diploma in marketing management from Institute of Management & Personal Studies, Mumbai.